Dr. William Dobyns – Human Genetics – Making Connections. Finding Solutions. Since this posting was created Dr. Dobyns has moved to Seattle to continue research. See this site also for a listing of his publications and research funding. William Dobyns, MD, has made major contributions to the field of human genetics, particularly the nature and genetic causes of developmental disorders including mental retardation, autism and brain malformations. As both a medical geneticist and pediatric neurologist, Dr. Dobyns offers a rare combination of expertise. He examines patients with all types of genetic diseases, emphasizing children with complex developmental problems. He also offers genetic counseling for families of these children. Dr. Dobyns is a recognized expert on many complex developmental disorders of the brain including mental retardation, autism, birth defects of the cerebellum such as Dandy-Walker malformation, and birth defects of the cerebral hemispheres such as microcephaly and megalencephaly (small and large brain size), lissencephaly or “smooth brain” disorder – (also pachygyria), and polymicrogyria (pebbled brain surface). He has made significant contributions to the understanding, classification and genetic cause of many different developmental disorders. University of Chicago – Department of Human Genetics laboratories specialize in customized diagnostics, translational research, and also offer routine molecular gentetic and cytogenetic testing. We offer prenatal, pediatric, adult, metabolic, neurogenetic, dysmorphology, brain malformation, and craniofacial genetic evaluations. This is the only laboratory in the United States that does the genetic testing for LIS sequencing. Dr. Dobyns has been wonderful in diagnosing Corey’s condition for free after reviewing his MRI film. He even contacted us on a holiday weekend. It turned out that the second MRI Corey had done was incorrectly diagnosed but was an easy mistake to make and may happen to alot of people. 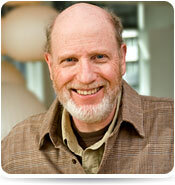 To learn more about Dr. Dobyns and his Brain Malformation Research Project go to http://genes.uchicago.edu/dobyns.html.